Kerry Washington is an American actress. She is the daughter of Valerie (Moss) and Earl Washington. Her father is from an African-American family. Her mother’s family is Jamaican, from St. Elizabeth (of mostly Afro-Jamaican background). 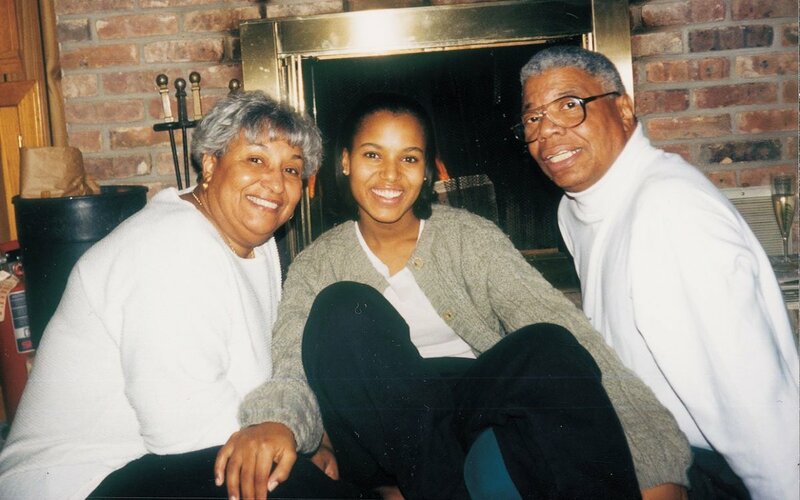 A picture of Kerry with her parents can be seen below. Kerry is married to American football player Nnamdi Asomugha, whose parents are Nigerian, of Igbo background. The couple has two children. My mother comes from a mixed-race background but from Jamaica, so she is partly English and Scottish and native American, but also descended from African slaves in the Caribbean. My dad’s family is four or five generations Brooklyn-based, but before that from South Carolina, and we are not sure which members of his family were slaves and which were free blacks. 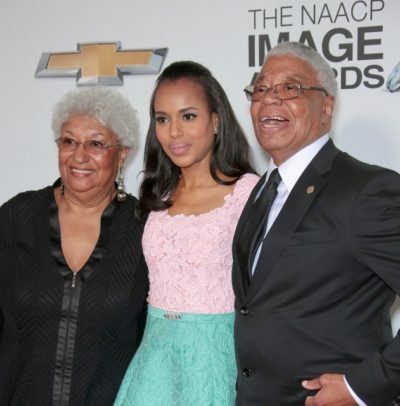 One of Kerry’s grandmothers is named Isabelle. Her parents are Earl Washington and Valerie.